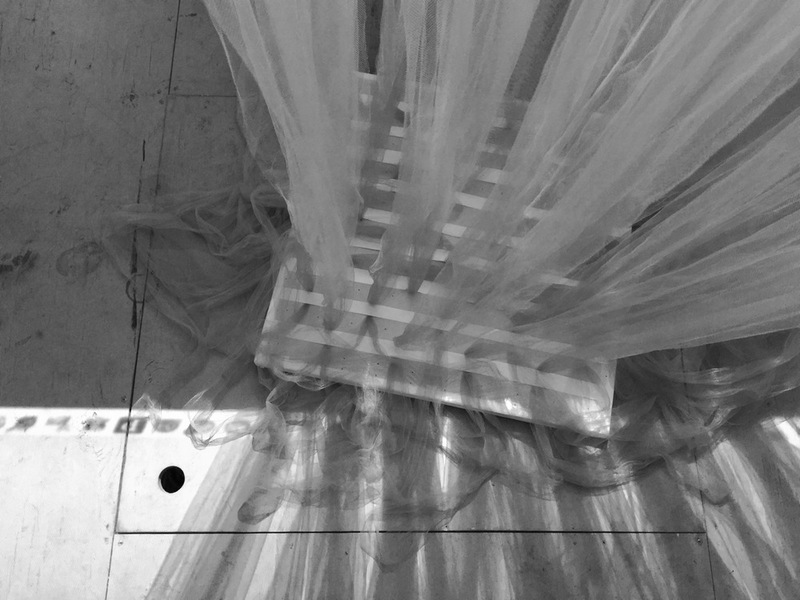 After last night’s discussion with Saito, chihao is on-site, making the next iteration of the fabric installation today. Solar panels, water tanks, and Greenhouse Theater. Saito and Rebecca are setting up 360-degreen camera for live streaming documentation and modifying code for data visualization and projection.